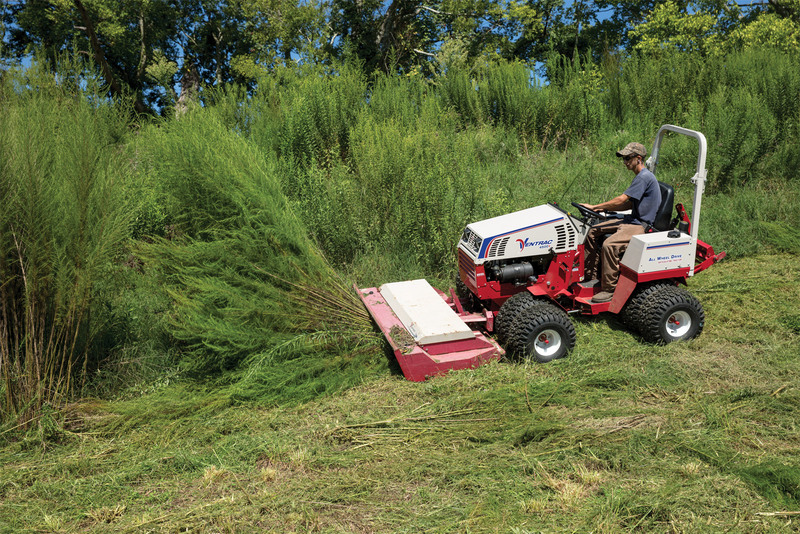 Small saplings and thick brush are much simpler to conquer using the Tough Cut mower for the Ventrac 4500. 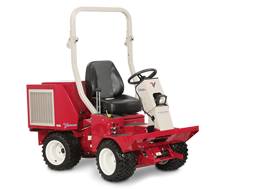 Pictured with optional dual wheels. 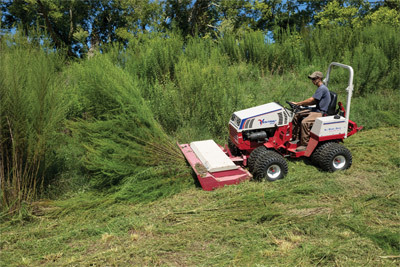 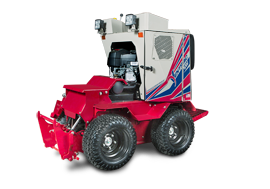 Ventrac 4500Z conquers the coppice - Small saplings and thick brush are much simpler to conquer using the Tough Cut mower for the Ventrac 4500. 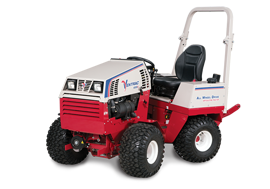 Pictured with optional dual wheels.